A pitcher's velo provides something like 15% of the variance in batted ball distance. Do you literally have only one arm now? Or did you just have one of your arms immobilized and rendered temporarily less-than-fully-usable? 92 slider down and in. Relevant Ted Williams Quote; "I never want to face him again." Mets pen is not bad. 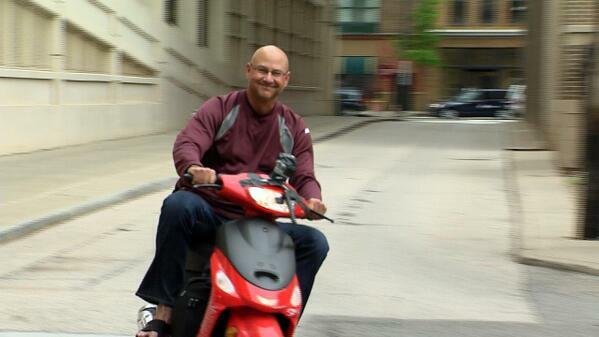 Did you know Pence partially re-signed in SF because he liked riding his scooter to the park? he can't take his scooter to another city? Most cities aren't as scooter friendly. Hunter Pence looks like he's in the dugout telling everyone about the government nanobots in their brains. Is Hunter Pence Enzo Amore? We put him back to pasture. People who watch the Mets: How has Granderson looked in CF? Can someone verify if my comments are going thru, I posted a couple but dont see any, thanks. Hmm, just noticed my laptop battery is already down to 59%. This should be a fun race to the end of the game. you didn't bring a charger? Does MadBum have a popup tendency in general? Seems like he's gotten nearly everybody on them.